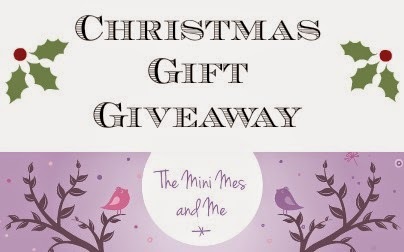 November seemed to zoom by in a flash which means we have come to the very last Christmas Gift Giveaway for the year... but it's rather a good one! Ozbozz Toys have kindly provided a scooter, which is perfect for children aged 5+ this Christmas, and what makes the prize even better is that you can select the colour you prefer out of pink and purple. It will really encourage kids to get outdoors in the new year to enjoy some exercise which is always a good thing. Large AI rear brake and full deck grip. Includes manufacturer spare parts warranty. Assembly of our own purple version took just 3 minutes, literally. The scooter arrives in two parts within the box and the handlebars slide onto the base which is secured with 3 screws (already in place) using the allen keys (provided). It is very quick and simple to do but there are instructions supplied and safety information too. Jamster was first to claim this and the sizing is just right for him. The area between the wheels where he rests a foot is textured to provide better grip and the handlebars are soft for a comfortable ride. He was able to whizz down hills, complete a few jumps and pick up some real speed in no time at all. It seems like great quality so far and the bolts have remained tight after several trips outside to play. If you are in need of a helmet this Christmas, for a scooter or otherwise, I would certainly recommend the Helmuttz range also available from the Ozbozz website. Jamster was actually excited to be wearing protective gear for a change: " Woahhhh that is so cool!". It was a bit of a struggle to get him to remove it afterwards in fact as he really likes wearing it! There are vents in the top to allow air to flow nicely to your skin and the rubbery spikes and skull print make it a far more attractive product to be seen safe in. There are soft pads inside for extra comfort and the strap is adjustable to fit different shapes and sizes. Minxy has now requested a pink, purple and butterfly alternative for herself! you don't need to compromise on style to stay safe. 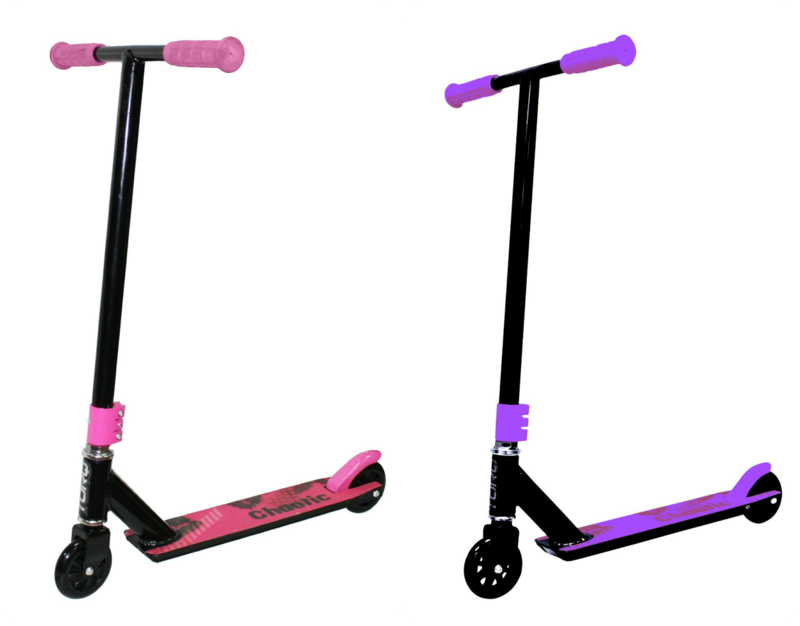 For your chance to win a Torq Chaotic scooter in a colour of your choice (pink or purple) you can enter via the Gleam entry form below. I would love a pink scooter please! The pink scooter for my niece as i've already bought a scooter for my little boy for Christmas. Fabulous helmet too. I like purple! My kids like cycling! The purple one would make an amazing extra treat for my daughter! Purple definitely! They're fantastic. Just wish us adults could get away with scooting down the road with them. I'd love the purple coloured scooter please! I'd love the purple one please. i would love the purple scooter, perfect for my would be dare devil niece! The purple one would be perfect. The purple one is awesome! I would love the purple one please if I win. purple would be ideal for my Grandsons or Granddaughter to use when they come to stay. They all love going outside whatever the weather and enjoy riding their bikes so having a scooter at Nanny's will encourage them to come out on the long dog walks with me and our dog Rosie. I'd love the purple scooter please! Love the purple scooter! My LO loves the outdoors so most weekends we can be found exploring somewhere new! My daughter has asked for a purple motorbike.. this would be the closest thing i think i could get to it so this would be perfect!! I'd really love the purple one please, thanks for the lovely giveaway.